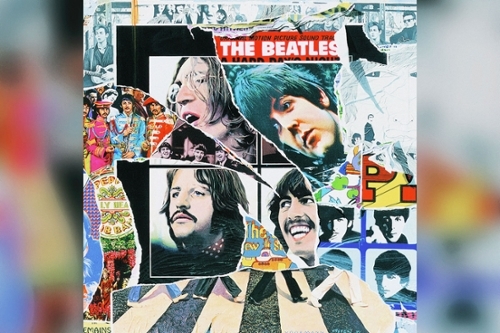 Covering the three-year span from 1965 to the beginning of ’68, Anthology 2 chronicles The Beatles’ artistic evolution during their most progressive phase. In just 36 months, the quartet underwent a radical transformation from British Invasion pop act to psychedelic pioneers, making era-defining contributions to folk rock, art pop, country & western and world music along the way. No terrain was off limits for The Beatles, who had grown startlingly exploratory. It’s during this stretch The Beatles’ obsession with studio experimentation superseded their interest in performing onstage (from which they retired in late ’66). Of the collection’s 45 cuts, only seven are culled from concert recordings or television broadcasts. Instead, the bulk of the tracklist features early takes, alternative versions and rejected songs that offer listeners invaluable glimpses into how the band’s songs would morph and mutate during the course of their intensive creative process. Preliminary recordings of “It’s Only Love,” “Yesterday” and “I’m Looking Through You” (each conceived in mid ’65, during which time The Beatles listened to a lot of Dylan) are even more rooted in folk simplicity than the versions that made it to the record-buying public. On a first take of “Norwegian Wood (This Bird Has Flown)” George Harrison’s sitar playing is striking for how it’s woven much deeper into the rhythm, infusing John Lennon’s ballad with a heavy drone. When Anthology 2 reaches the halfway mark, the foursome are deep into the sessions that produced Revolver and Sgt. Pepper’s Lonely Hearts Club Band. An initial stab at the former’s surrealistic finale, “Tomorrow Never Knows,” finds Lennon unleashing a sound that can only be described as electric mud. From the behind the kit, Ringo Starr hammers out a brand of hypnotic primitivism that manages to recall The Velvet Underground’s Moe Tucker. But maybe the most revealing tracks are the three successive versions of “Strawberry Fields Forever.” Taken as a whole, they chart the song’s epic sojourn from plaintive acoustic ballad to psychedelic tour de force featuring cutting-edge studio techniques imported from avant-garde electronics. At the time, only Brian Wilson’s work on “Good Vibrations” matched The Beatles in terms of sheer sonic ingenuity. 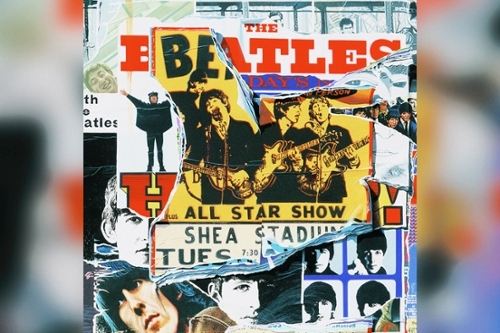 The middle installment of the Anthology trilogy also spotlights the second of two Lennon demos that his surviving mates turned into a completed song through overdubs. Much like “Free as a Bird,” the wistful “Real Love” exudes a thoroughly contemporary vibe that surely would make just about any Brit pop band jealous.